BULGARIE – Sozopol - Bulgarian archaeologists have discovered a treasure of bronze coins during excavations in the Black Sea resort town of Sozopol. The treasure was found hidden in a small jar, and consists of 225 Ancient Greek bronze coins, explained the leader of the archaeological team, Prof. Krastina Panayotova, as cited by the Focus news agency. The coins are well-preserved, and were minted in Sozopol in the 4th century; they were found during excavations of a necropolis in the Budzhaka area close to theBlack Sea town, she explained. "They were not found in a grave, they are not part of a funeral, this is a treasure, a "classical" case of buried treasure. We have never found a buried treasure before. I have been dealing with Apollonia for 25 years, and have never seen anything like this. It is very rare to come across such a find in a necropolis," Prof. Panayotova explained. She said she knows of one more case in which a vessel with coins was found in a necropolis in Romania but the treasure found in the necropolis near Sozopol is a precedent for Bulgaria. ROYAUME UNI – Guernesey - Work to improve Guernsey's wastewater drainage system has given archaeologists a rare chance to explore an area of the island's east coast. Archaeology consultant John Lihou said he hoped to discover the changes to the coast caused by rising sea levels. He said wood and one piece of prehistoric pottery had been found. Mr Lihou said he thought the pottery was from the Bronze Age and he hoped to age the site by carbon dating the wood. He said the site, which is 300m from Belle Greve Bay, used to be beach and examining it would help them understand how the coast formed. ROYAUME UNI – Newton Abbot - Excavations to uncover what is believed to be a major Roman town in the heart of South Devon are set to take place this summer. 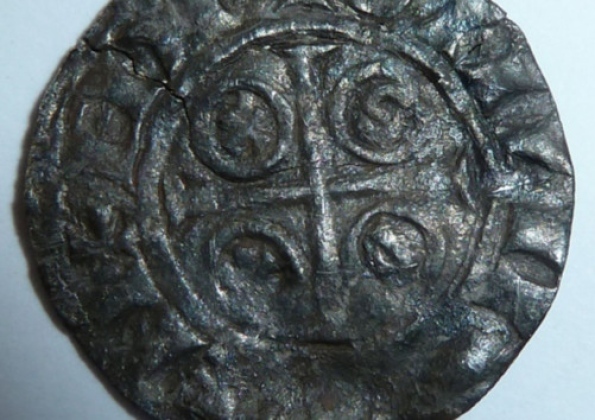 The major archaeological dig is planned for rural Teignbridge, on the outskirts of Newton Abbot, after a chance find of ancient coins by metal detector led to the discovery of the largest Roman settlement ever found in Devon. There have been long-held suspicions that the Romans had established a presence in South Devon, and place names suggest the A381 between Totnes and Newton Abbot may have been a Roman road. Archaeological investigations in 2007 discovered evidence of Romano-British activity with in the form of pottery, coins and other objects. The intrigue escalated in 2009 when Mr Fox and Mr Pitts — using metal detectors — discovered a haul of Roman coins in woodland. They uncovered a stash of 243 coins, dating from AD 330 to 378, buried between three inches and a foot of rough ground. A geophysical survey also uncovered evidence of trade with Europe, a road possibly linking to the major settlement at Exeter, some 'intriguing' structures, burial sites and more coins on an area covering at least 13 fields. It was always thought Roman influence never made it further than Exeter and there was little evidence of Romans in the South West Peninsula of Britain. SERBIE – Kostolac - Archaeologists in Serbia say they have discovered a rare mammoth field containing the remains of at least five of the giant beasts that lived here tens of thousands of years ago. The discovery last week at the Kostolac coal mine, east of the Serbian capital of Belgrade, is the first of its kind in the region. It could offer important insight into the ice age in the Balkans, said Miomir Korac from Serbia's Archaeology Institute. The remains were found during coal excavation about 20 metres below ground. Korac said the mammoth field stretches over some eight hectares of sandy terrain. In 2009, a well-preserved skeleton of a much older mammoth was found at the same site. Vika - as the female skeleton was dubbed - is up to one million years old and belonged to the furless, so-called southern mammoth. The bones discovered last month probably belong to the so-called woolly mammoth, which disappeared some 10,000 years ago, said Sanja Alaburic, a mammoth expert from Serbia's Museum of Natural History. USA – Absaroka - Back in 1877, at a point not far from here, a band of Nez Perce Indians slipped from the Absaroka Mountains onto the prairie, eluding the U.S. Army’s 7th Cavalry in hot pursuit. The Nez Perce ran their horses in circles to confuse Army scouts before moving onto the Wyoming flatland and making a run north into Montana. While the Nez Perce managed to confuse the Army commanders that September, they also succeeded in confusing historians. The exact route of their great escape remains a mystery 135 years later. “We want to figure out how the Nez Perce got off that mountain and crossed into Montana,” said Jim Evans, director of the Nez Perce Trail Foundation. “We want to figure out where the route is so we can preserve and protect it for future generations.” Led by archaeologists from the Bureau of Land Management and the U.S. Forest Service, a team of volunteers set out recently to carefully walk several miles of terrain near the Absaroka Front, hoping to find artifacts that might pinpoint the route taken by the Nez Perce during their 1877 flight. The teams walked transects along the Montana-Wyoming border, covering several miles of ground in rattlesnake country. They turned up a stone cairn built to mark the border by an earlier geological survey, along with a few rusting artifacts likely stemming from mid-20th century agricultural activities. They also found a prehistoric stone scraper that was impossible to date on location. USA – Boonesborough - Archaeologists here are sweating out the early summer heat this week, digging down through layers of soil and back through 234 years of time to learn more about one of Kentucky's most historic sites. 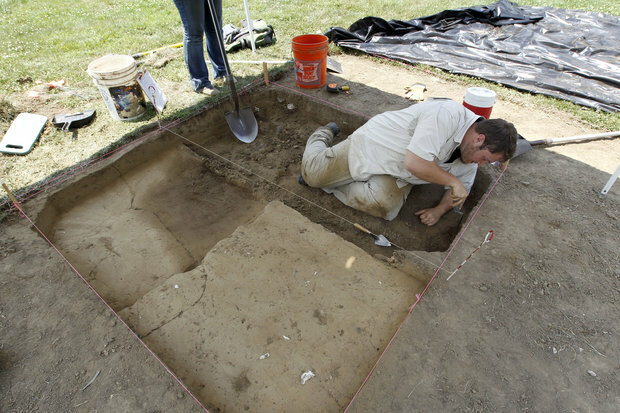 University of Kentucky archaeologist Nancy O'Malley, who is heading the project, says the main goal is to uncover previously unknown details about the Revolutionary War siege in September 1778, when Native Americans and French-Canadian militiamen tried to overrun Fort Boonesborough. In the process of that search, scientists also hope to turn up long-forgotten facts about the historic fort itself. For example, are there still traces of the tunnel the invaders tried to dig under the fort during the siege? Just how big was the fort? How big were the cabins in the stockade, and where were its walls actually located?